Fly and survive through the Game-of-the-Year- winning world of BADLAND and discover an astonishing number of imaginative traps, puzzles and obstacles on the way. BADLAND is a multi-award-winning side-scrolling action adventure with innovative physics-based gameplay and stunning atmospheric graphics and audio. 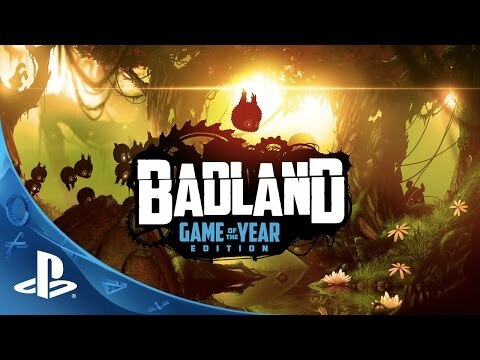 BADLAND: Game of the Year Edition has been redesigned for the PS4™ system, PS3™ system and 'PS Vita' system with new analog stick controls and enhanced Full-HD visuals. The GOTY edition also offers lots of local multiplayer fun: up-to-4 players can compete on 27 deathmatch stages or work together to survive through 100 levels of the co-op campaign.